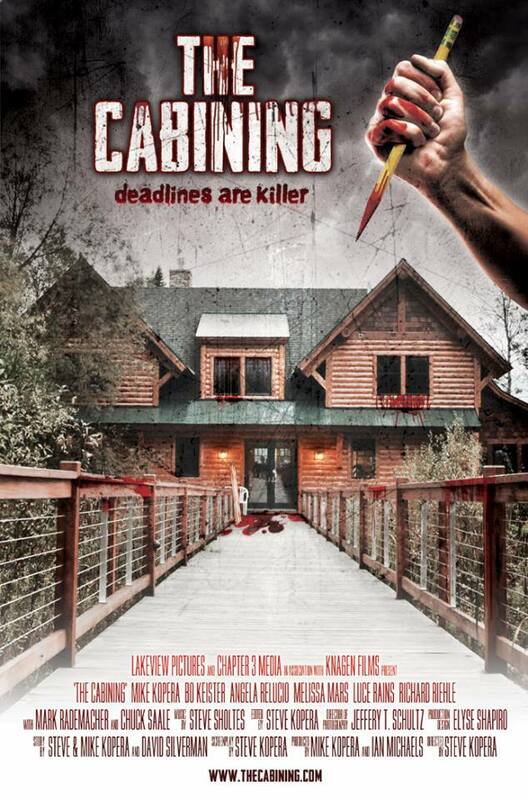 First off I want to say thankyou to the writers of the horror/comedy film “The Cabining”, Mike and Steve Kopera for sending me an online screener of the film. Mike is one of the stars of the film while his brother Steve is behind the camera directing this indie film. 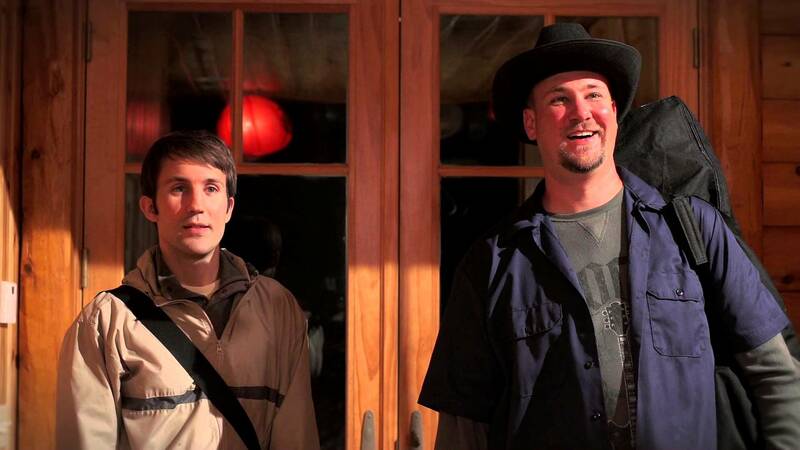 “The Cabining” is a story about best friends Todd and Bruce (played by Mike Kopera and Bo Keister), who are aspiring writers but lack the talent and originality needed to deliver a worthwhile script. Todd’s Uncle Sarge is a wealthy man offering to back the film if the boys can write something solid in two weeks, otherwise the money will go elsewhere. Bruce does some research on a secluded cabin called Shangri-La. It’s a retreat where various artists go in hopes of getting some inspiration for their work. Todd and Bruce pack their bags and head off with no plan B if things don’t work out. Shortly after they arrive, the other artists start dying in mysterious circumstances. Todd and Bruce must discover who is doing the dirty work otherwise they might be next! I have seen a few films recently with a similar theme to The Cabining. 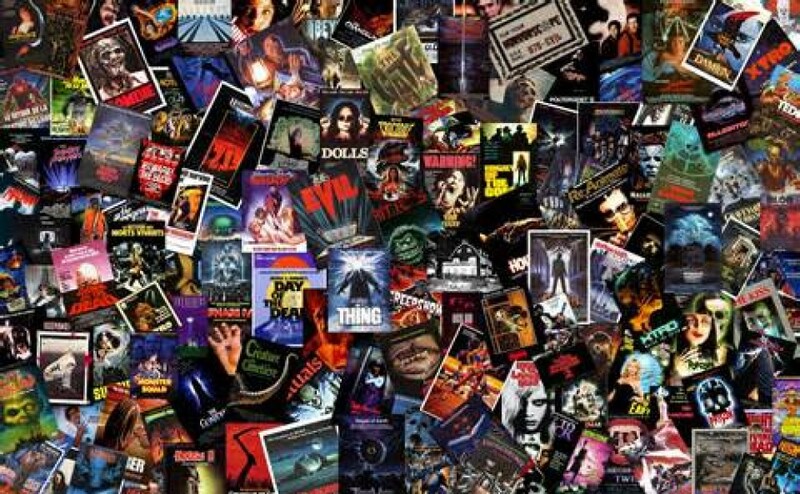 It’s difficult to balance genres like horror and comedy and often it comes off as too silly or not serious enough. Fortunately this one does things pretty well. From a technical point of view The Cabining really excels. I love the opening strange score throughout the credits, along with a nice looking location, the film has really steady camera work and consistently audible dialogue. Those are two aspects that rookie filmmakers get wrong a lot of the time, I’m glad that wasn’t the case here. The performances are solid from both Kopera and Keister. They had somewhat of a similar chemistry and style of banter to Trey Parker and Matt Stone (South Park creators) in the comedy film “Baseketball”. I was really impressed with Bo playing Bruce. I think he steals the show with his random uneducated comments at the worst times. In my opinion, Bo Keister is the funny version of Hollywood actor Danny McBride. 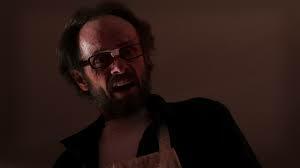 I’m not a McBride fan at all, it would have been nice to see Bo cast in the film “This Is The End”, I think he would have kept a level head during the apocalypse and said “Alarming is frogs falling from the sky” haha. The Kopera brothers really succeed in their ability to write great lines. They create some really good wordplay and banter surrounding the rules of a horror film, the cliché’s and formality’s that these types of films always follow. It worked well because the storytelling is played out like a movie within a movie. They also use some great pop culture references throughout the film. The supporting cast includes Angela Relucio, Melissa Mars, Luce Rains, Richard Riehle and Mark Rademacher. I thought Jasper (a strange musician at the cabin, played by Rains), had some great comedic moments as well. Like most low-budget indie films this one has some issues too. The lighting in some of the outdoor scenes came across overly shaded and dark, it might have been due to the time of the day. I think the way the character Munroe spoke was a little over the top and annoying as well but I suppose that was part of the role, I just didn’t really like it. The horror side of the story is lacking and a fair slice of the films running time is spent on less important character development before the audience gets any real action. A few scenes could have been cut or made slightly shorter. I think the comedy aspect of the film works a lot better than the horror, I still think the whole thing needed more blood and gore though. A few cool prosthetic pieces could have been used, maybe it was because of the limited budget that they weren’t, I’m not sure. 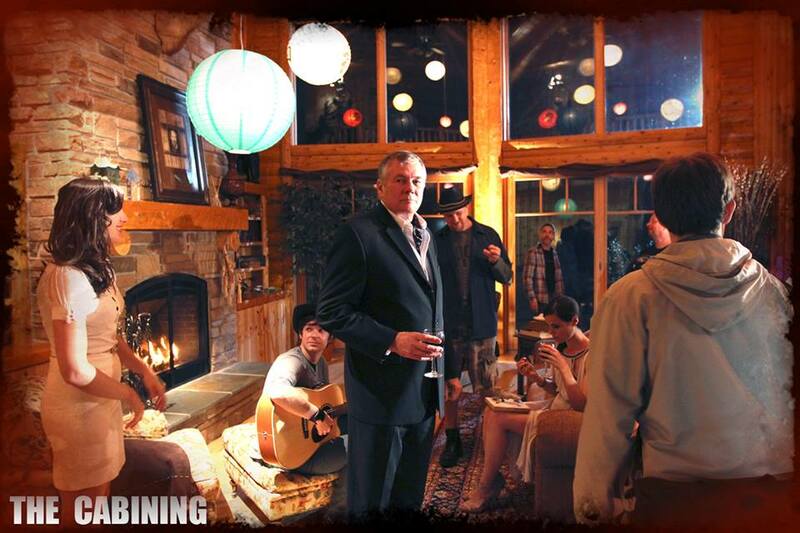 The Cabining is a film not to be taken too seriously, it’s just 80 minutes of good fun. I think it’s a combination of two other low-budget indie films one called “Baghead” and the other “Tucker and Dale Vs Evil”. This manages to have enough of its own trait’s to not be considered unoriginal but it’s difficult to avoid the comparisons because horror/comedies are quite common these days. I think the last ten minutes is a bit rushed and a mish mash of ideas that never really present themselves with any real punch or impact. In the end just remember when watching The Cabining, “It takes total consciousness to achieve unconsciousness” haha, The Kopera’s are clever writers and I think this is definitely worth watching.